How to use a Cube? It has been a hobby of mine to create ways to dispaly abstract mathematical concepts like numbers or ratios in a visually appealing way. The Numerological- and Harmonic Alphabet are the outcome of this endeavor. Using Polygons to display numbers. Each Graphic consists of only straight lines. 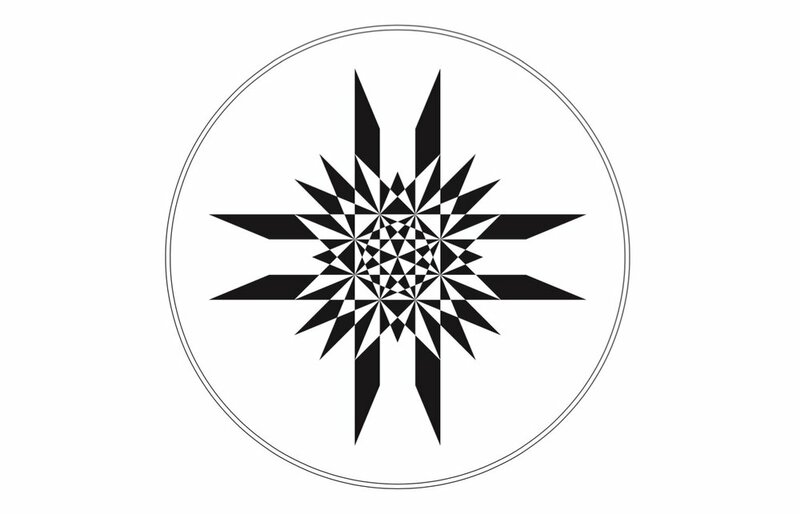 Using the Flower of life pattern to display Two Numbers and their relationships. Each Graphic consists of only Circles. Since the beginning of recorded history, mandalas have played an important role in religious and mystical practices around the world. Sacred geometry is a representation of the patterns that can be found everywhere within us and in the world we live in. I feel it's important that we as humans recognize the larger patterns that make up our reality. 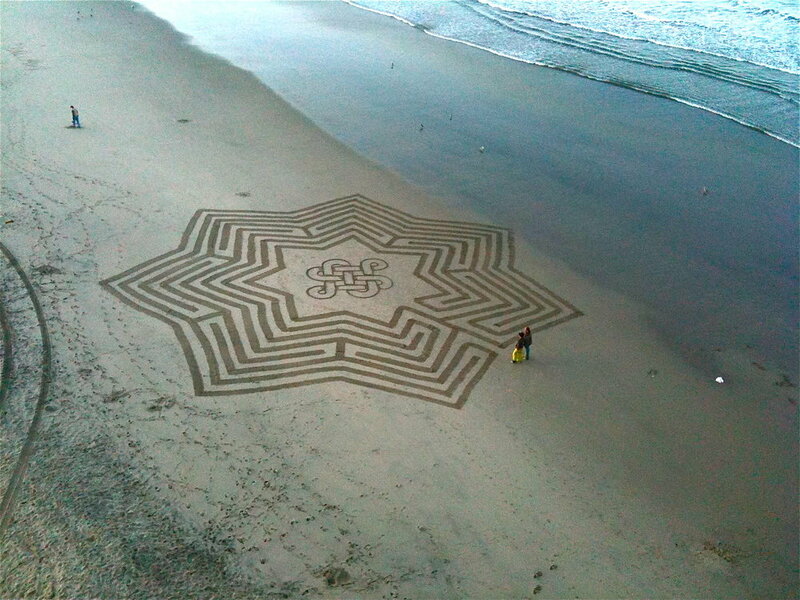 I love artistry, and I especially enjoy beach art because it is the closest manifestation of numbers, timing and space that I have found. 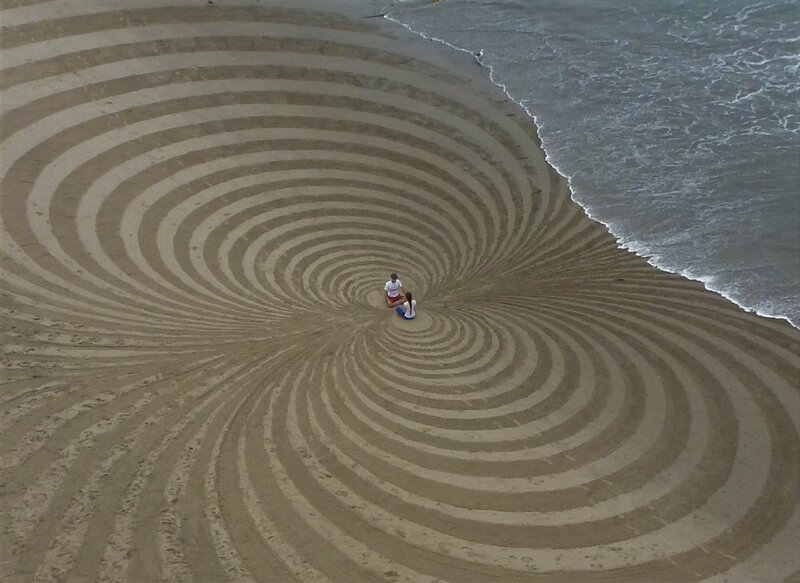 As a sand artist performing every new and full moon, I have discovered the rhythms of nature and the cycles of the moon and tides. I grew up in Munich close to the Bavarian Alps. The mountains always felt like my sacred space. After moving to Los Angeles I found my new sanctuary at the beach.